The town of Gangtok in the State of Sikkim is the largest town in the state. Perched at an altitude of 1,437 m atop Shivalik Hills in the Eastern Himalayan Range, Gangtok is a major draw among the tourists visiting Sikkim. Following the construction of a monastery named Enchey Monastery in the year 1840, the town of Gangtok began turning popular as a major Buddhist pilgrimage centre as well. Gangtok in Sikkim has remained a town of importance ever since the 18th century. While in the year 1894, the town was crowned as the capital of Sikkim by the then ruling Sikkimese Chogyal, Thutob Namgyal, Sikkim continued to function as an independent monarchy with Gangtok being its capital following the Indian independence in 1947. Later, during the year 1975 after its integration with the Union of India, Gangtok was declared the 22nd state capital of the country. 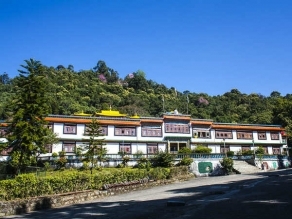 And today, Gangtok has various interesting things to boast of—from being a headquarter of the East Sikkim and salient base of Sikkim tourism to being a prominent learning centre of Tibet Buddhist Culture due to presence of various monasteries, religious educational hubs and centres of Tibetology. The History Of Gangtok . . . 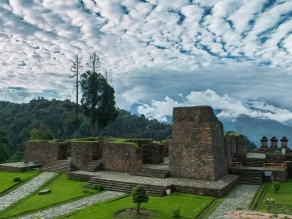 In the state of Sikkim, most towns including the popular ones lack proper historical details. And so does Gangtok. There isn't anything much known about the town's history. However, the earliest record date that talks about the existence of Gangtok is the year 1716, which happens to be the year of construction of the Hermetic Gangtok Monastery. 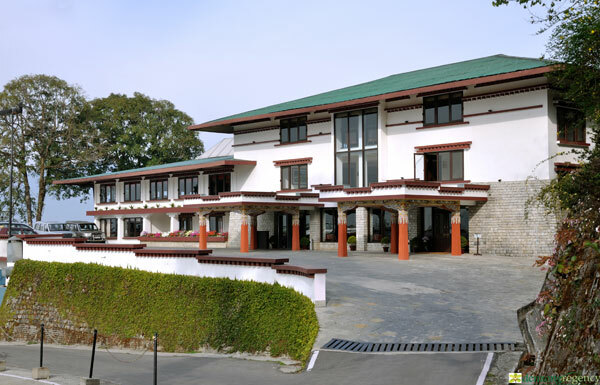 And until the construction of the famous Enchey Monastery in the town, Gangtok continued to remain quite unexplored. However, its importance began rising with the place being declared Sikkim's capital in the year 1894. Gangtok has witnessed some disasters and landslides, of which the one that took place in 1977 happened to be the biggest. In this about 38 were killed and various buildings were destroyed. Present at an altitude of 1,676 m, Gangtok can be found present in the Lower Himalayas. The town is situated at 27.33°N 88.62°E and can be found on the side of a hill with the governor's residence on one end and a palace on the other. Gangtok is also flanked by the streams Roro Chu and Ranikhola towards its east and west respectively. These streams meet the Ranipul that flows south further. In Gangtok, the slopes are prone to landslides, for Gangtok as well as various other parts of Sikkim are made of Precambrian rocks containing foliated phyllites and schists. And the surface flow of water by natural streams as well as man-made drains further add to the risk of landslides in the place. Mount Kanchenjunga, the world's third highest peak can be seen through the western side of Gangtok. 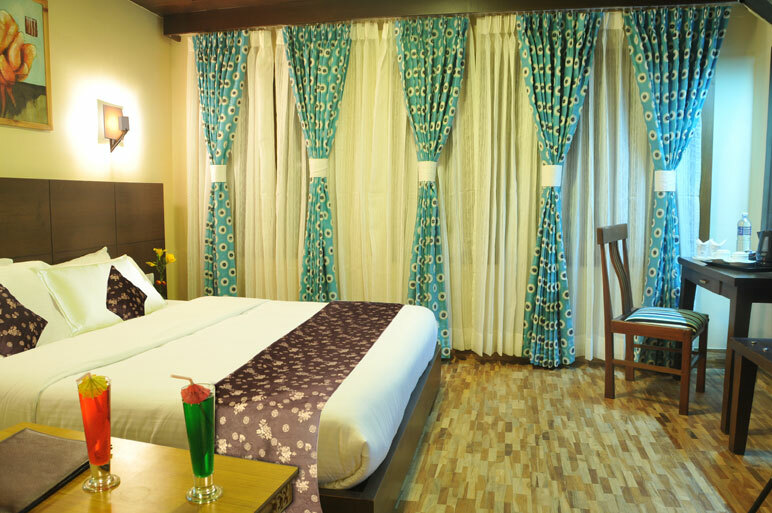 Tourists can choose to visit Gangtok anytime of the year, for it's climate is pleasant almost all through the period. The town has a monsoon-influenced subtropical highland climate and has summer, winter, monsoon, autumn and spring seasons like most other towns around it. Quite chilly during winter, the place has also received snowfalls in the following years during the recent past: 1990, 2004, 2005 and 2011. The town is foggy during monsoon and winters. The Culture People In Gangtok Follow . . . The Culture in practise at Gangtok is beautiful and unique. While the town celebrates the popular Hindu festivals like Diwali, Dussehra, Holi and Christmas, it even revels in celebrations of various local festivals. For the Tibetans in Gangtok, the New Year celebrations are sometime around January and February. The same is called Losar and is celebrated with the traditional Devil Dance. For the Lepchas and Bhutias in town, the new year commences in January. Maghe Sankranti and Ram Navami too are two important Nepali festivals celebrated grandly in Gangtok. Some of the other festivals that people in Gangtok celebrate include: Drupka Teshi, Dalai Lama's birthday, Chotrul Duchen, Buddha Jayanti, Losoong, Saga Dawa, Lhabab Duchen and Bhumchu. Allow your taste buds to relish a few momos while at Gangtok without fail for it is a very popular food at the place. It is a steamed dumpling with beef, pork and cooked vegetables wrapped in dough and served with soup. Wa Wai is yet another popular food made of noodles. And other noodle-based popular foods available at Gangtok include thupka, chowmein, thanthuk, fakthu, wanton and gyathuk. Also, the Sikkim Tourism Department organises an annual food and culture festival at Gangtok in the month of December every year. This fest includes stalls selling Sikkim multicultural cuisines in food stalls dressed up with an ethnic touch and will also have various music and dance performances to entertain the visitors. The event will be held at the Titanic Park on MG Marg in the city. 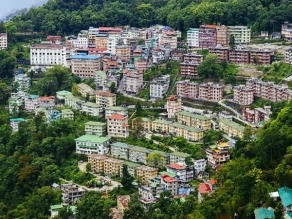 The population of Gangtok as per the 2011 census of India was 98,658. This included about 53% male and 47% female population. While the ethnical Indian-Nepalis, having settled in Gangtok during the British rule in India, are the ones who are a part of the towns majority population today, locals Lepchas and Bhutias also ample in number. And several Tibetans have migrated to the the place. The average literacy rate of Gangtok is about 82.17% which is higher than the national average which is 74%. With the town being the capital of Sikkim, Gangtok includes various places of interest and importance. 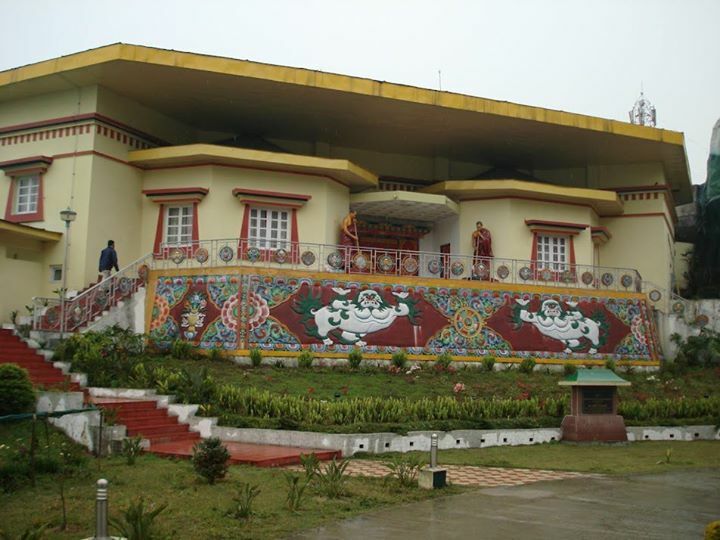 Some of these include: The Enchey Monastery, the Nathula Pass, Namgyal Institute of Tibetology, Do Drul Chorten, Ganesh Tok, Hanuman Tok, White Wall, The Ridge Garden, Himalayan Zoo Park, MG Marg and Lal Bazar and the Rumtek Monastery. The place enjoys a pleasant environment almost all through the year. 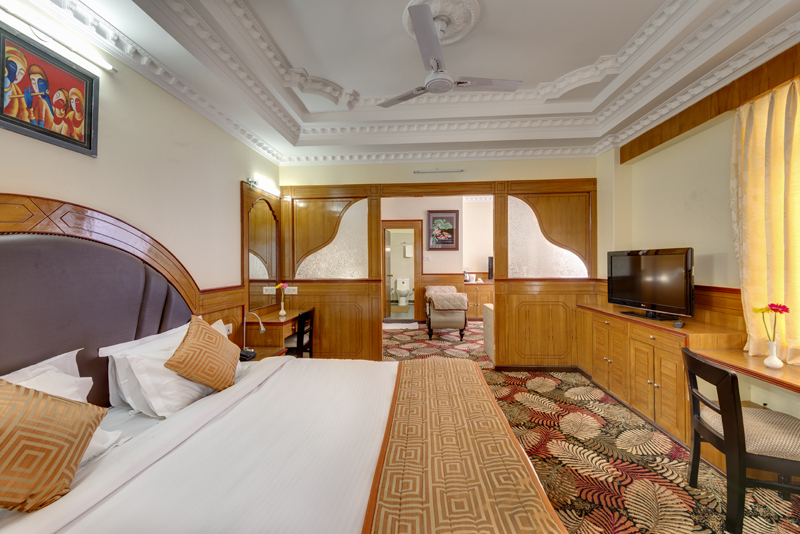 Travellers planning a trip to Gangtok can reach the destination via air, rail and road. While many private as well as state government buses ply to Gangtok from the Siliguri bus stand, one can prefer hiring a taxi or jeeps to. From the Siliguri bus stand, a journey to Gangtok will take about five to six hours time. Also, various jeeps ply to Gangtok fro Darjeeling, Kalimpong, Siliguri and other places. The New Jalpaiguri in Siliguri is the nearest railway station to Gangtok. This station has direct connections to major cities like Kolkata and New Delhi. Gangtok is about 12 hours of journey from Kolkata. The nearest airport to Gangtok is the Bagdogra airport. On reaching there, one can hire a taxi and reach Gangtok by road. There are several flight to Bagdogra from various states across the country. PC- Amritendu Mallick Blessed with the beauty of mountains, forests, valleys and hills, Sikkim certainly seems like a door to heaven. Its natural beauty is assuredly incredible and worth remembering. But very few of us know that Sikkim has a remarkable history.